I hope these drills will form a basis of practice and a metric to measure your improvement. Good skill"! 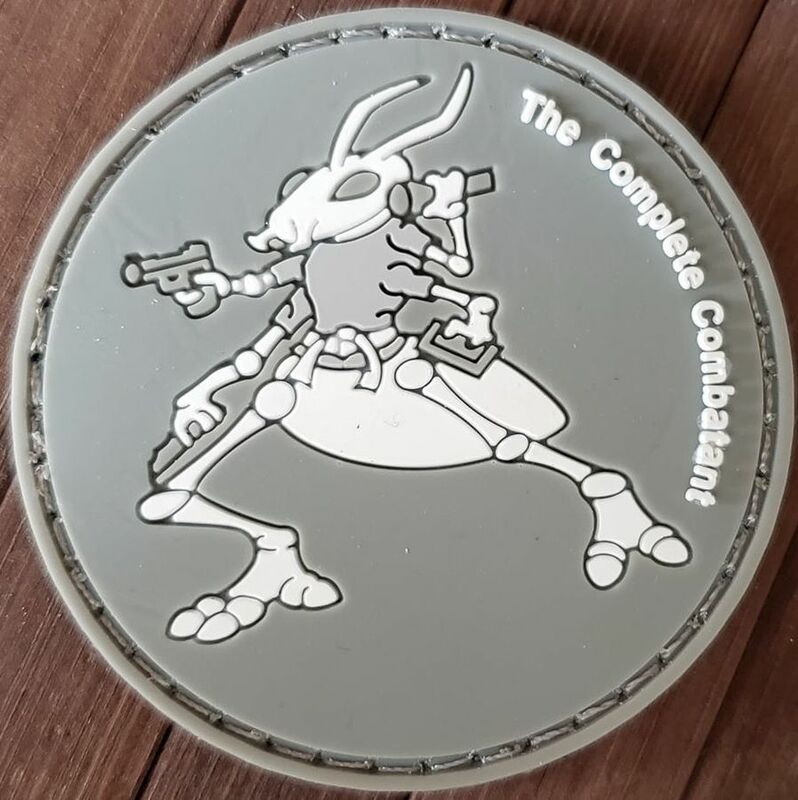 "Complete Combat Ant Challenge Patches"
Every Entry Level Pistol Essentials and Pistol Essentials client will receive a 2.5" WHITE LEVEL "Complete Combat Ant Challenge Patch"! You challenged yourself and CAME TO A PROFESSIONAL FIREARMS TRAINING CLASS...good for you! We are very proud of you and this first step needs to be recognized! Accuracy standards and challenges are a BIG part of our classes. After that, you will advance a level after you have successfully completed each challenge. Purple level challenge patches.....details we be released soon! Brown level challenge patches.....details we be released soon! Black level challenge patches.....details we be released soon! And no, don't ask what the drills are because we will NOT tell you! BAM! Brian has spent 2 years designing these other 4 levels. You need to come to class and be challenged! DO IT! "Complete Combat Ant Challenge Cards"
During each live fire class (with the exception of Entry Level Pistol Essentials) we will invite you to take part in the 5X5 Challenge. This is a STAND ALONE drill and does not include the "Accurate Ant Patch"
Brian learned this drill from Tom Givens of Rangemaster. This is a very challenging drill to score 100% on during class. SO GREAT JOB! 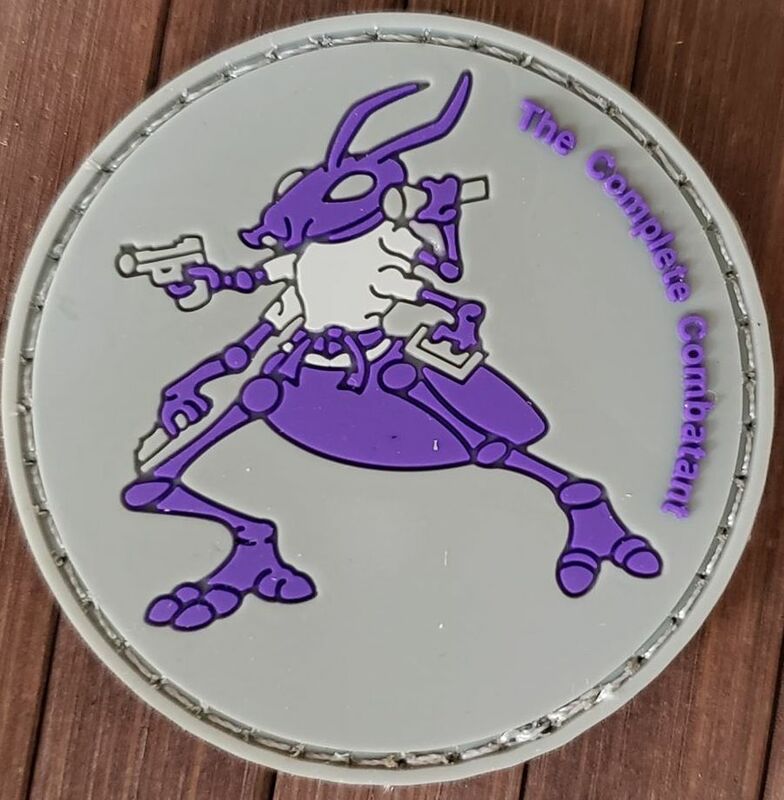 Brian will sign and date your Complete Combat Ant Challenge Card! 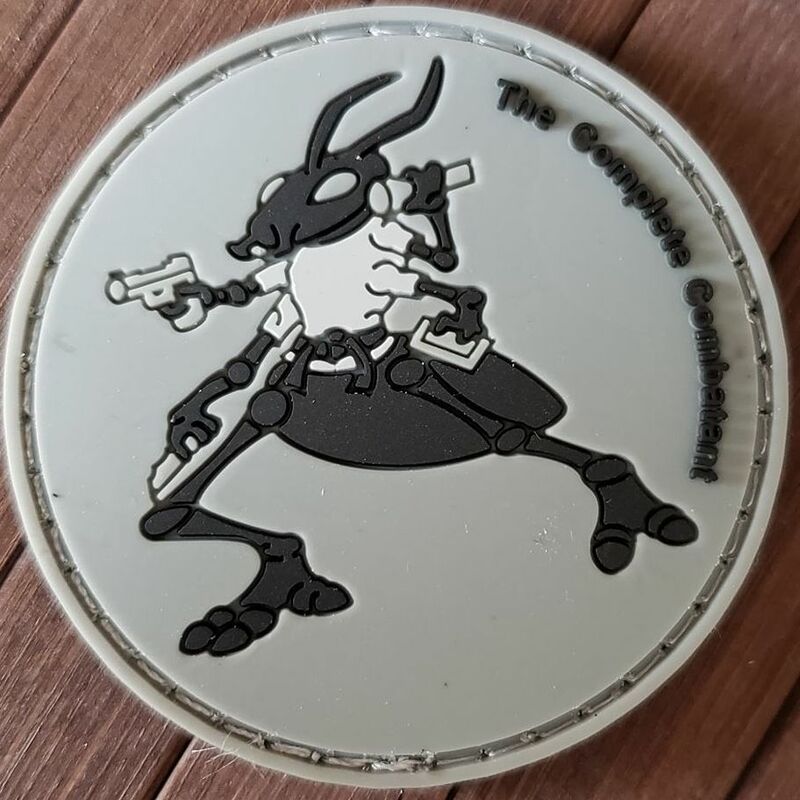 During EVERY live fire class you will get the opportunity to earn a JOE or a JANE Accuracy Ant 4 inch patch (velcro on the back) by scoring 100% on the days official ACCURACY TEST! 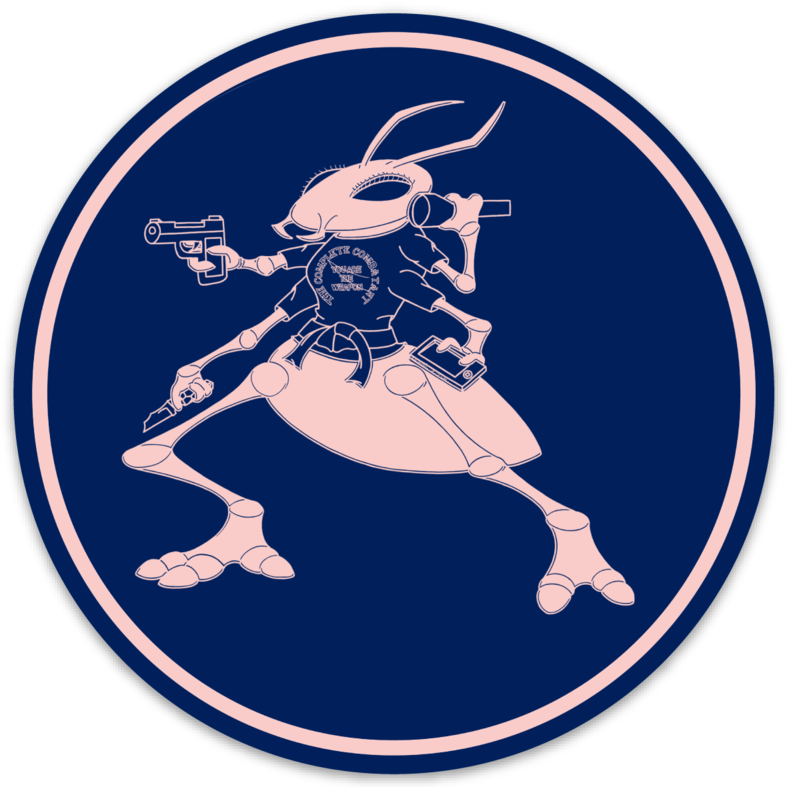 These Joe and Jane Accuracy Ant patches are EARNED and NOT sold! 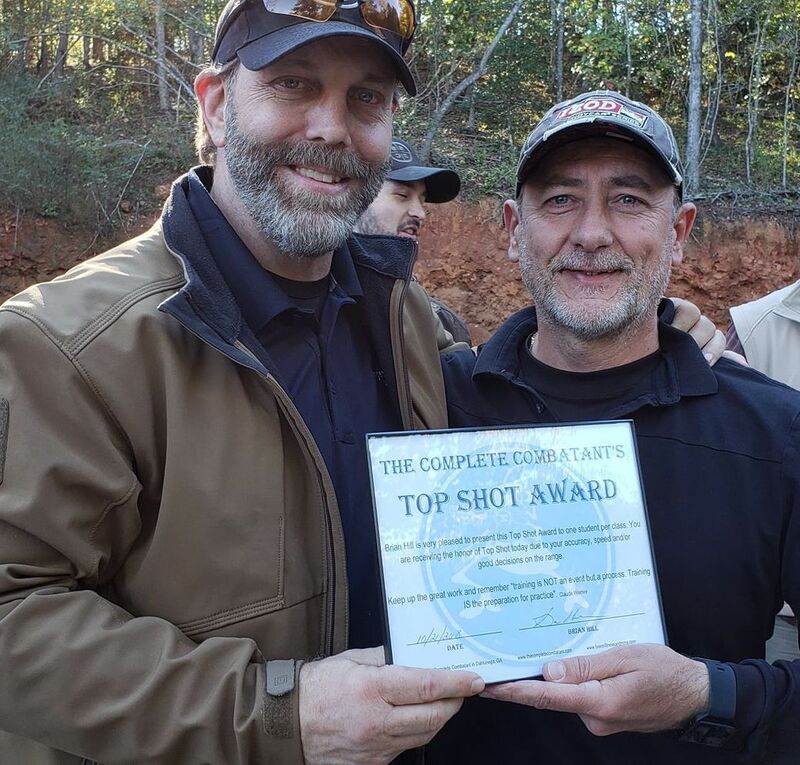 Brian Hill is very pleased to present this Top Shot Award to one student per class. The student picked will be receiving the honor of Top Shot due to their accuracy, speed and/or good decisions on the range. Keep up the great work and remember “training is NOT an event but a process. Training IS the preparation for practice”.